People Are Laughing At The Way This Guy Trolled "Jennifer Lopez’s" New Look.steemCreated with Sketch. Look like celebrity photo mocker Celeste Barber has a competition. 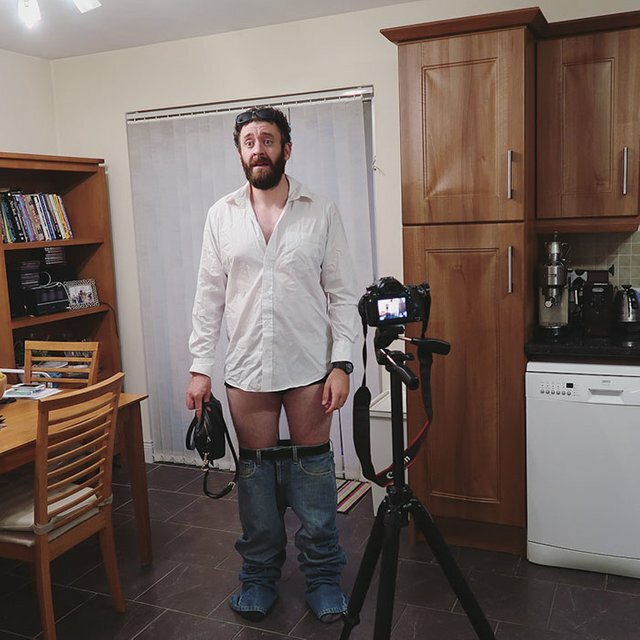 31-year-old Irish guy Senan Byrne is also recreating silly famous people pictures, and they are just as hilarious. This time, however was a little different. His wife joined the fun too. I have been doing internet things’the last 4 years, Senan told Bored Panda. I was originally on Vine back in the day. But Vine died and now I’m desperately seeking validation from strangers on other platforms. I came across the picture by my wife who had seen it on some social media,” Senan added. “I assumed many would be dressing up and posting their attempts to look like J Lo, and I wanted to go further and parody those attempts.” Scroll down and check out what he came up with overnight...! May you will enjoy our community ..!